The Master of Science in Informatics provides advanced theoretical and practical skills on topics of computer systems and computational sciences. The programme is designed for both Bachelor students who wish to complete their education and professionals seeking to refresh their knowledge and skills. The Master combines the study of fundamental aspects of computer systems with a hands-on approach, preparing professionals for successfully pursuing a career in research and development. Computer science is a highly pervasive and fast evolving area. The programme prepares students for current and evolving technologies in computer sciences by deepening their knowledge in several directions: Students learn how to develop, select, and evaluate computer programmes with the help of a strong theoretical background. In parallel they acquire abilities to understand, design, simulate and optimise complex systems where important competences include the capability to learn and to adapt to unpredictable and dynamic situations. Students learn how to design, test and analyse software programmes providing the required level of software quality using the appropriate software engineering methodologies. Fundamental aspects include the capability to design and reason about distributed systems, advanced data management systems, and modern computing systems. The programme is worth 120 ECTS and stretches over two years. It allows students to personalize their study curricula according to their individual interests. In the first semester students attend mandatory courses to acquire the basic knowledge. The second and third semesters are dedicated to specialized courses and electives. Students complete their curriculum with electives that can be chosen among courses offered by this and other related programmes offered by the university. The last semester is dedicated to the writing of a substantial master´s thesis. The Master of Science in Informatics prepares students for current and evolving technologies in computer sciences by deepening their knowledge. Depending on their interest, they can specialise in one of the research areas covered by our professors and benefit from the research excellence of our teaching staff by getting involved in ongoing research activities. The formal requirement for admission to the Master’s degrees in Informatics is a Bachelor’s degree from a recognised university in the field of Computer sciences, Mathematics, Physics, Electrical engineering, or related disciplines. 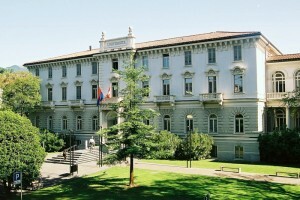 students with a Bachelor degree from a Swiss university of Applied Science are admitted without debits when applying with a grade equal or superior to B.